How Do Insurance Fraud Investigations Work? Insurance fraud is a growing situation that is occurring across the country. Insurance fraud investigation is a vital service that is conducted to detect and determine if fraud is taking place. Fraud costs the insurance industry billions of dollars each year, so there is an increased demand for insurance fraud investigations to help prevent fraudulent payments. What Causes an Insurance Fraud Investigation? Suspected cases of insurance fraud are normally investigated to find whether the claim is fraudulent or not. The need for insurance fraud investigations is often triggered when an insurance adjuster sees red flags in a claim and feels that the information being supplied is suspect. The insurance company then alerts the police that an insurance fraud investigation is taking place and the investigation begins. During the process of the insurance fraud investigation, the claimant’s credit, and background will be checked. They will also undergo surveillance and information and evidence will be collected from the scene of the accident. Through this type of thorough investigation, fraudulent activity is often discovered and brought to light. What Types of Insurance Fraud are Committed? People try to commit insurance fraud in a variety of ways. They may try to stage accidents or incur fake injuries to get money from insurance claims. Along with individual fraud cases, the medical profession is often accused and found guilty of fraud through the practice of charging for patient testing that was never carried out. No matter what type of insurance fraud investigation you need, our company can deliver real results. We work with insurance companies and employers to help them find the truth when it comes to insurance investigations. Our insurance fraud investigations provide our clients with a valuable service that saves the insurance companies millions of dollars in fraudulent claims. Once we find fraudulent activity, the claims are no longer paid and prosecution takes place through law enforcement. Not only are we helping our clients with their insurance fraud investigations, but we are also helping citizens all over the country. It has been proven that insurance fraud costs consumers more, in the end, for their own insurance policies. Fraudulent claims total around 10% of those filed, creating a massive headache for insurance companies. According to the National Crime Insurance Bureau, fraudulent insurance claims not only raise our insurance premiums, but they also raise our taxes. As a provider of comprehensive insurance fraud investigations, we are standing up to insurance fraud and making a difference in the lives of our clients. If you believe you have been a victim of insurance fraud, we invite you to visit our website to learn more about our insurance fraud investigations. We are here to make sure that fraudulent activity is stopped and that those who are guilty are brought to justice. Contact us today and allow us to help you in your case. We will offer you the best in insurance fraud investigations and stand behind our work. 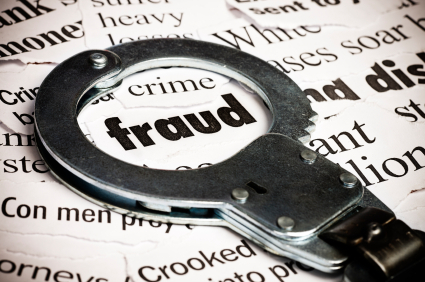 Learn More About How Do Insurance Fraud Investigations Work? J-Mack is committed to providing our clients with the highest quality and most professional investigative and security services available. We understand our clients are cost-conscious and always keep our prices competitive without compromising our commitment to exceptionally high standards. Copyright © 2019 J-Mack Agency. All Rights Reserved.